Data is growing at record rates, with no signs of slowing. But what good is having petabytes of data if you can’t gain business advantage from it? Accurate analysis of data can have great positive business results, but requires the right tools and techniques. 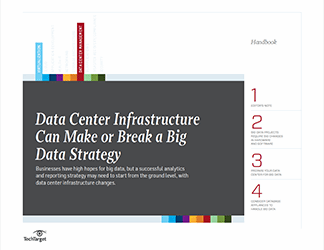 Effective data analytics requires having strategies for storing and managing large volumes of structured and unstructured data, and a method of analyzing it to unlock business data. Storage for big data often consists of scale-out NAS or object storage, and many look to commodity hardware as a cost-effective way of capturing petabytes of information. Big data storage systems must not only be capable of holding large quantities of data but they also must perform well enough to enable real-time analysis. Bandwidth and response times are critical factors, and other aspects such as the cloud and Hadoop may play a role depending on the type of data being stored and analyzed. 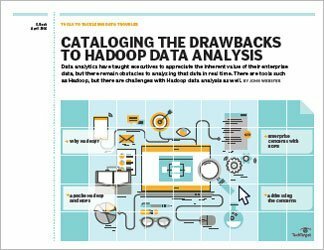 Indeed, there are positives and negatives to Hadoop data analysis, but the fact is, there is no magic bullet software to handle big data analytics. It often requires processes and people with specific skill sets, and often tools beyond standard business intelligence and analytics applications. However, there are software tools for analytics disciplines such as predictive analytics, data mining, text analytics and statistical analysis. And for unstructured and semi-structured data that doesn’t fit well in traditional relational databases, Hadoop and other related technologies are gaining in popularity. 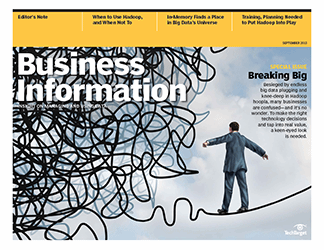 Take a closer look at Hadoop data analysis, particularly at enterprise concerns. You’ll have a better understanding of Hadoop Distributed File System and the role it plays with Hadoop data analysis. Data is growing at record rates with no signs of slowing. But what good is having petabytes of data if you can't gain business advantage from it? Accurate analysis of data can have great positive business results, but requires the right tools and techniques. Effective data analytics requires having strategies for storing and managing large volumes of structured and unstructured data and a method of analyzing it to unlock business data. Data lakes are strongly associated with Hadoop and use the open source software as a replacement for traditional data warehouses. Hadoop clusters are based on commodity hardware and can hold structured, unstructured and semi-structured data. This makes Hadoop a good choice for log files, web clickstreams, sensor data, social media posts and other types of applications that produce big data. Until recently, Hadoop alternatives were few and far between. Still, Hadoop implementations that are not well planned can produce data swamps instead of lakes. Hadoop was not developed to run on shared storage, and storage vendors must tweak their arrays to support the Hadoop Distributed File System, fostering the rise of Hadoop alternatives. Also, Hadoop does not have data governance built in as many data warehouse tools do, allowing Hadoop alternatives to bridge the gap.